Dental amalgam has been used for many decades and is a silver coloured metal alloy that contains mercury. Over the past few years newer and far more advanced filling materials have been developed and which are entirely metal-free. These materials include tooth coloured composite resin and beautiful tooth coloured porcelains. Dr Poulos much prefers to use these types of fillings which provide superior cosmetic results and they are healthier for your teeth. 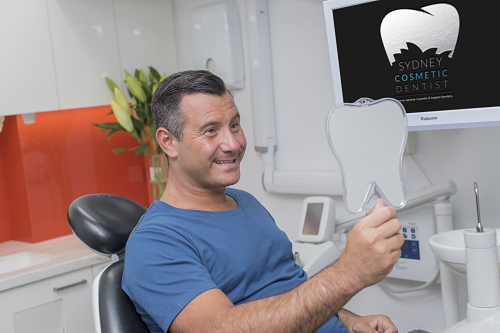 What Are the Advantages of Amalgam-Free Dentistry? Amalgam-free dentistry utilises the very latest tooth coloured filling materials to restore teeth to their full strength and structure. Once in place, these fillings are virtually invisible and they also mend teeth in a way that is highly biocompatible. Another problem with amalgam is that the metal can flex when it comes into contact with hot or cold or when put under pressure, an effect that can eventually weaken the tooth by creating micro fractures. This problem is eliminated when using amalgam-free dentistry.